Jamell Demons, or rising rapper YNW Melly, and 20-year-old Cortlen Henry were charged in the 2018 murders of rappers YNW Juvy and YNW Sakchaser. NBC 6's Amanda Plasencia reports. A rising South Florida rapper has been arrested in the 2018 murders of two aspiring rappers who were also his friends and who were killed to make it look like they were victims of a drive-by shooting, authorities said. 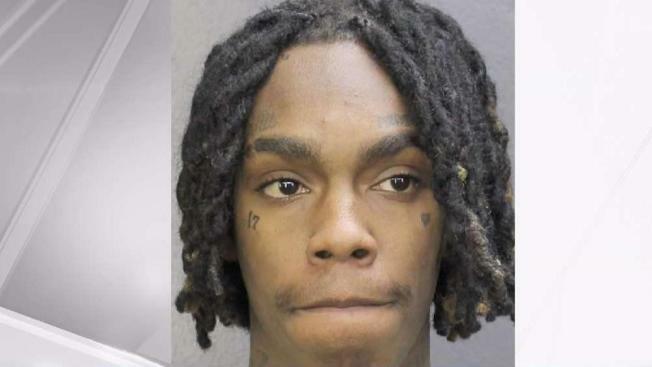 Nineteen-year-old Jamell Demons, whose stage name is YNW Melly, was arrested and charged in the Oct. 26 killings of 21-year-old Anthony Williams and 19-year-old Christopher Thomas, the Miramar Police Department announced Wednesday. Cortlen Henry, 20, also faces charges in the killings, police said. He was taken into custody in Texas and brought back to Broward County to face premeditated murder charges. "I am turning myself in today I want you guys to know I love you and appreciate every single one of y’all, a couple months ago I lost my two brothers by violence and now the system want to find justice," Demons said in an Instagram post on Wednesday. "Unfortunately a lot of rumors and lies are being said ..."
Authorities say Demons and Henry staged the crime scene to resemble a drive-by shooting after Demons allegedly shot and killed Williams and Thomas. Henry briefly appeared in bond court Wednesday but was due back in court on Thursday. He was in the process of hiring a private attorney. Miramar police spokeswoman Tania Rues said Williams and Thomas were last seen alive at 3:20 a.m. on Oct. 26 in Fort Lauderdale. Hospital staff pronounced them dead at Memorial Miramar Hospital, about 20 miles from Fort Lauderdale. Thomas went by the stage name YNW Juvy while Williams was known as YNW Sakchaser. YNW Melly's first official studio album "We All Shine" was released last month. He had also recently collaborated with Kanye West.